Kindred Single UM sink 18 gauge sink - 18-3/4" X 16-3/4" X 9"
Premium grade 18 gauge stainless steel single bowl sink, featuring rear drain position for more storage below the sink, and silk finish on rim and bowl for bright and shiny good looks, without sacrificing on ease of cleaning. Bowl is sloped to center of wastehole and has crease lines for efficient draining. This elegant sink features Blanco's signature brushed satin finish and tight radius bowl corners for maximum bowl space. Made of premium 18 gauge stainless steel with rear-positioned drain holes for maximum under-counter space. Made in Germany to Blanco exacting standards of quality and design. Double bowl 20 gauge stainless steel topmount sink, with faucet ledge, 4 hole faucet drilling, Spillway<sup></sup> partition between bowls to prevent water on the counter, rear drains to allow for more storage below, and easy care satin finished bowls. Includes waste fittings, and is backed with a Limited Lifetime Warranty. 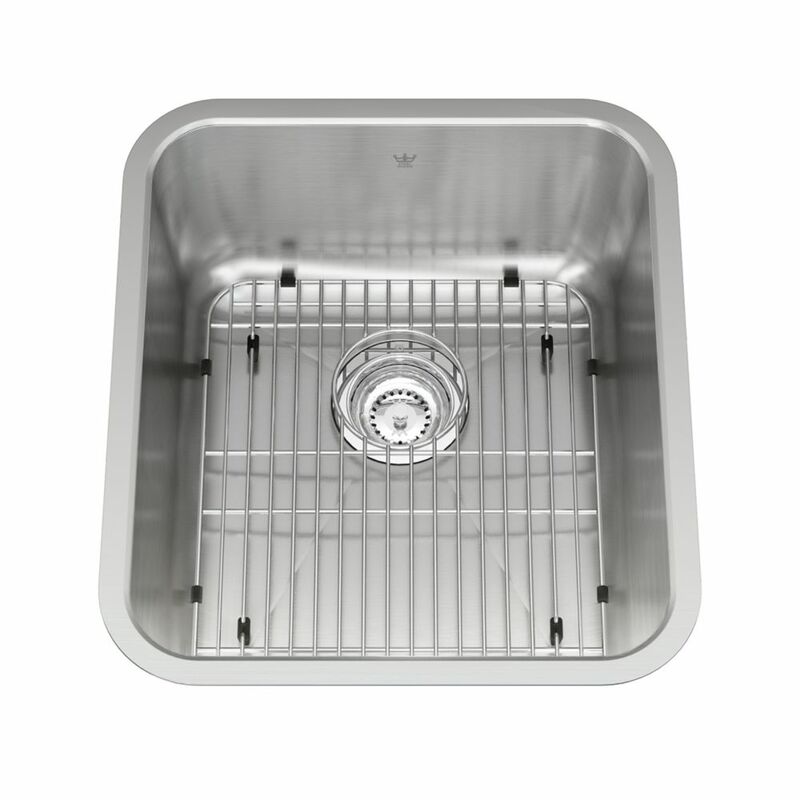 Single UM sink 18 gauge sink - 18-3/4" X 16-3/4" X 9" Premium grade 18 gauge stainless steel single bowl sink, featuring rear drain position for more storage below the sink, and silk finish on rim and bowl for bright and shiny good looks, without sacrificing on ease of cleaning. Bowl is sloped to center of wastehole and has crease lines for efficient draining.